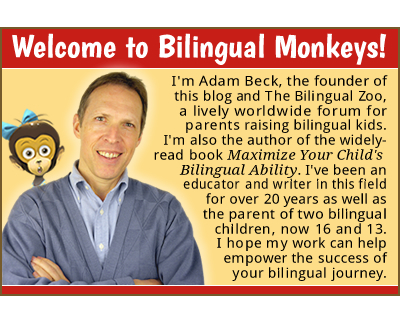 ADAM’S NOTE: One essential lesson for parents to learn early on—or potentially face growing frustrations on their bilingual journey—is the need to add greater realism to the initial idealism we feel going into this experience. Idealism continues to play a vital role in motivating our efforts, but relaxing into a more realistic and flexible mindset, while remaining persistent and playful, day by day, enables us to pursue a path that is both more enjoyable and more effective. 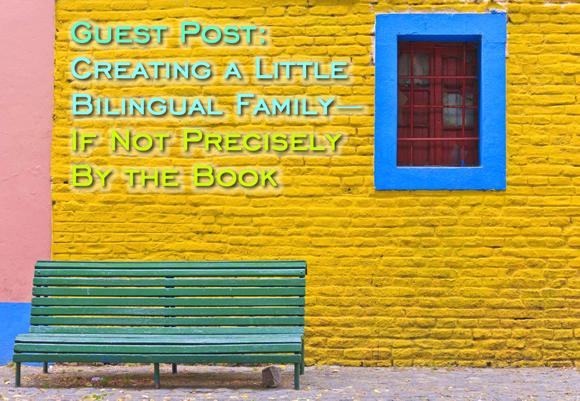 In this insightful guest post, Jordana Timerman brings this point to colorful life by sharing the candid story of her first two years as a parent on a bilingual quest. Thank you, Jordana, for conveying an important message that I’m sure will be encouraging for others to hear. 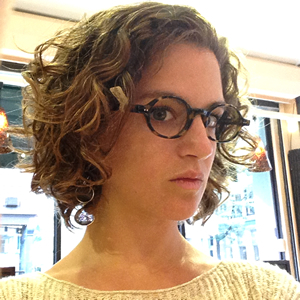 Jordana Timerman is a freelance journalist in Buenos Aires, where she grew up speaking English and Spanish. She is the mother of a two-year-old who is being spoken to in English (minority language) and Spanish (majority language) in a disconcertingly disorganized fashion. I try hard not to cringe when well-meaning friends and family speak to my daughter in broken English. According to the “rules” of bilingualism, they should be speaking in Spanish, their native language and the majority language in Argentina where we live. But I’ve found that when people hear me speak to my two-year-old in my native English they automatically trend towards using it themselves with her. The curious result is my Argentine-born daughter is being treated like a foreigner in her own country. I don’t want to be the language police—I want people to have easy relationships with my child. But as they speak to her, all I can think about are admonishments to parents of bilingual children not to mix languages. Before my daughter was born, my partner and I casually agreed that I’d speak English to our children, thus sharing my native language and arming them for an anglo-dominated world. 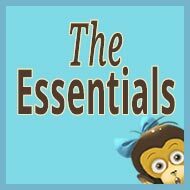 Like pretty much everything else pre-parents blissfully envision, the post-partum result was a lot more complicated. 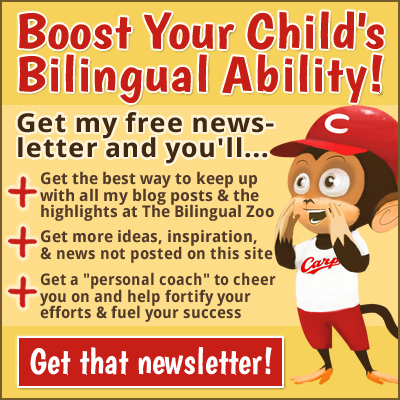 Language strategies, such as “one-parent-one-language” or “minority language at home,” all sound perfectly rational in theory. But somehow the realities we confronted didn’t fit into the patterns those strategies outlined so neatly. 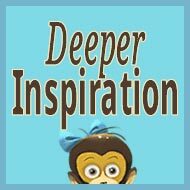 I found myself uncertain over how to handle the interactions that remain unscripted in these approaches: How should I speak to my child in front of playground friends who don’t speak English? (Really awkward mix for now.) 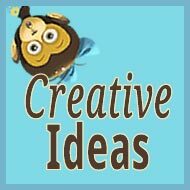 How to navigate daily interactions with babysitters who don’t understand what I’m saying to my daughter? (I sometimes wind up dubbing my own speech—I say it once in English and then repeat in Spanish for the caretakers’ benefit. It’s awful.) Was it alright to keep speaking in Spanish to my partner as we had always done? (It’s very uncomfortable to switch languages once you’re used to using one with somebody, so yes, we stick to Spanish.) A lot of the time I feel like an actor in a bad pantomime. I was wading through texts emphasizing the necessity of purity and language separation, and starting to feel more like a language teacher than a mother. My partner, who has never been overly deterred by theory, was more decisive. 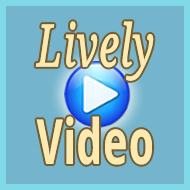 He simply decided to speak only English, though a native speaker he is not. His infectious eagerness allowed me to overcome my discomfort, and normalized the use of English at home. He truly grasped the greater importance of simply plunging into bilingualism, no matter how absurd seeming the process. So we wound up in a somewhat unorthodox “minority language at home” system—despite my concerns of raising a gibberish-speaking child, not yet completely assuaged, to be honest. It’s hard not to sound snooty when you ask people to refrain from their well-meaning attempts to communicate with a kid that really does respond better in English. What do you say: “Oh no, we want her to learn proper English.” Or “Well, thanks so much for your effort, but this is really a family thing.” You get the picture. The worst part is, we started to wonder if she was getting enough exposure to the majority language. A rough preschool start this year has made me more sensitive about who speaks what. My partner has switched to his native language, which might help pull others in that direction. And I have pointed out the importance of family and friends in strengthening her Spanish—making them stakeholders in her acquisition of Spanish words for colors and numbers. I try to gently remind people who are lapsing too often. After all, our aim was never to pretend she’s growing up in an English village—she lives in Buenos Aires along with the rest of us and we want her to communicate here too. While I personally avoid even code-switching when I speak with my daughter, the reality of parenthood has pushed me to relax with language approaches. (And pretty much everything I’ve ever held dear, from personal hygiene to mental coherence.) I may come to regret it, but you do the best you can. Hopefully, her school and other places where people do not use English will eventually keep her mixing in check. I’m also starting to realize—thanks in part to Bilingual Monkeys—that we’ll need to recalibrate many times, and come up with strategies according to different moments in our daughter’s life. Two years in, I listen as my partner reads Harold and the Purple Crayon in his heavily accented English, and pauses to joke in Spanish that our daughter needs to vary the nighttime reading selection. I’ve relaxed about our slips in language orthodoxy. 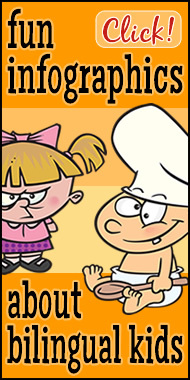 And when we converse between the three of us, we can draw on our linguistic gymnastics training from infancy boot camp. At some point along the way it somehow stopped feeling strange when I say something in English and my partner responds in Spanish. I hope that we’ll succeed in maintaining our languages separate enough to make sense to our daughter. But I’m also relieved that we created a little bilingual family. And if it’s not precisely by the book, well, nothing else in parenting is either. 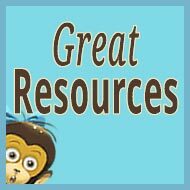 You’ll find many more wise guest posts by browsing the guest posts category. How about you? What are your thoughts after reading Jordana’s story? Great post! 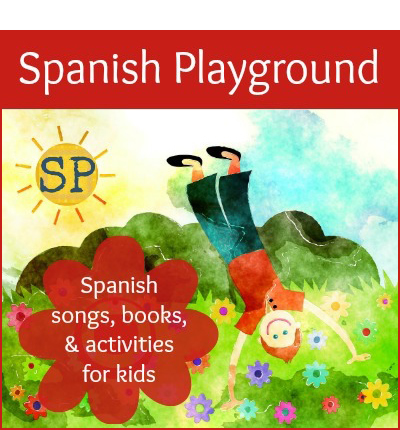 We live in the US and my kids are learning Spanish and Mandarin. I struggle with friends and family trying to speak to them in Spanish because they took it way back in high school or Mandarin because they happen to know a couple words. I worry it is confusing the kids but it would be so uncomfortable to ask them to stop! Fortunately my kids help sometimes, my daughter has been known to tell people they don’t speak Spanish! A good reminder not to stress about it so much, being flexible and relaxed probably keeps the kids from getting stressed about the minority languages anyway. Great post! I could relate, like when I talk to my son at the playground. As for speaking to my husband – at first I used Russian with him, as his English is intermediate, but then we went farther and since we talk a lot in front of our child I speak English to him as well. And to pretty much any of my friends and relatives that consent to it and understand it (and turns out, we have a few). They all speak Russian to me in turn. But at least I don’t have to switch to Russian in front of my son. After doing this for almost 2 years (our son is almost 4), it doesn’t feel strange at all speaking English and hearing back Russian. English is a minority language for us, we live in a Russian-speaking country. Best of luck Jordana, thanks for sharing! Thanks so much for your comment. I really like your solution of speaking in the minority language with people who understand it — I’m sure it took some getting used to, but with a language like English that a lot of people understand it’s a good solution. I don’t yet do that, but I do feel more comfortable interacting in social situations with my daughter, knowing that a lot of people can follow the conversation at least a bit. Hello there! I’m also in Buenos Aires and raising my son in English. It’s hard, but totally doable. My best! Thanks for your down-to-earth article! I wonder if you or anyone reading this has some more ideas for the playground situation you describe: I’m wondering how best to speak in an inclusive way with my son (nearly 2) and other kids. Especially in emotional situations, for example, when there are tussles over a toy and I want to guide their conflict-resolution. There might not always be time to say everything twice. We live in the USA and are raising him in English and German, I’m the German-speaking parent. Thank you for your comment. My daughter is 2, and playground situations are becoming more common! I err on the side of speaking in the majority language when I feel it’s a message that is important for all participants to understand. 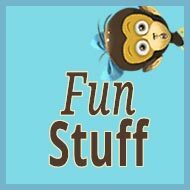 A message about sharing a toy, for example. If I can I repeat for good measure in the minority language, or later rehash what happened. For me, the social aspect of this type of interaction is too important to exclude her peers. I’d love to hear what other people have to say about this however. 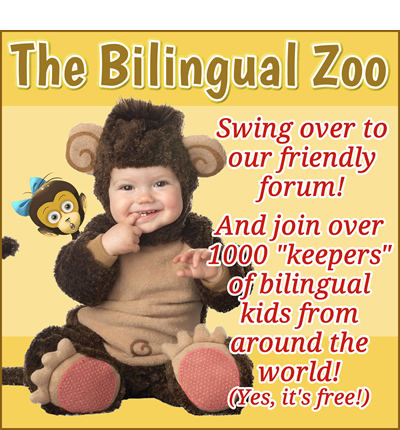 Nicola and Jordana, I suggest stopping by The Bilingual Zoo, my forum for “keepers” of bilingual or multilingual kids. It’s a great community, with hundreds of parents worldwide, and we often discuss tricky issues like this concern. My son is two, we live in England, his father is English and I’m bilingual German-English, having been born and raised in Germany and moved to the UK as an adult. 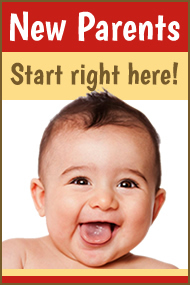 For my son’s first six months I merrily spoke a bit of German here and there (having planned the “one parent, one language” strategy – but I guess one thing you learn when becoming a parent is that plans are usually the last thing to work out) – but found it almost impossible to stick to it as his language developed. Quite recently I made a pact with myself and my partner to give it a proper go, and Jordana, your article reads like an extract from my brain. Thank you for it, it makes it so much easier to keep going when you see that others have the same feelings and yet succeed. It makes me believe that we’ll get there! Thank you. Thank you so much. It’s likewise heartening to hear that the feelings are shared. One thing that has helped me greatly is putting most of our reading efforts in English. It’s sort of an outside push that means those interactions at least are in our target language. I’m also starting to repeat things in English when she says them in Spanish. I’m careful that it’s not correcting her, I want to recognize that she’s saying it right, but also pointing out how to say that in English. Once I managed to push past the initial discomfort, it really did become natural to speak in the target language.